Style in Sokistan – About dots. Le style Sokistan – Variation sur le pois. In Sokistan, we like to play with socks and lace. Au Sokistan, nous aimons jouer avec pois et dentelle. An other style of Polka dots. Un autre style de pois Polka. 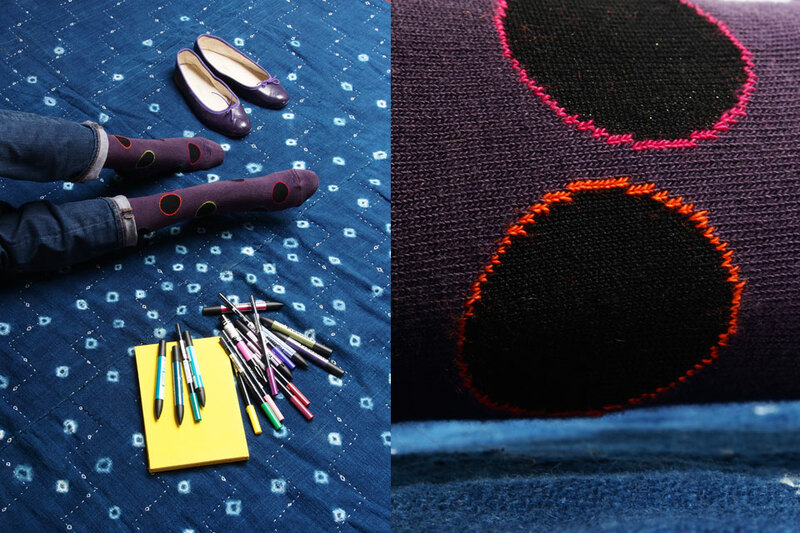 Indigo patchwork is from Maku Textiles. Toutes les photos © Sokistan. 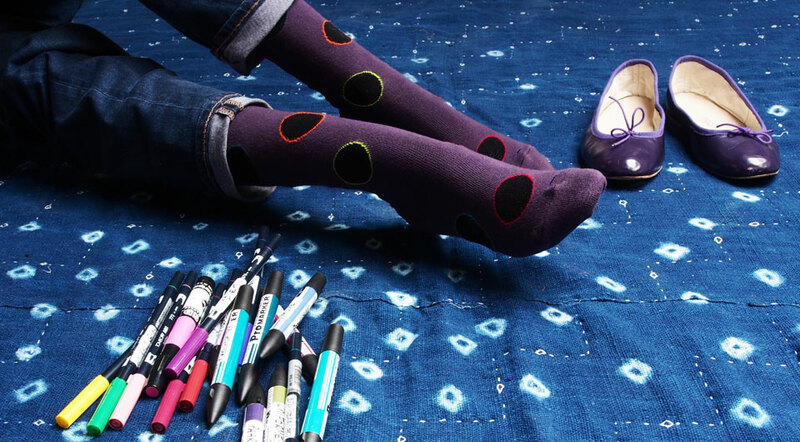 Le patchwork indigo est de Maku Textiles.